Blood-Red Pencil: Do Contest Wins Boost Sales? Do Contest Wins Boost Sales? 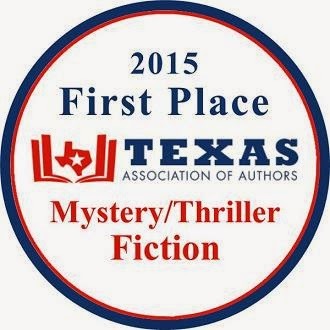 Doubletake, the mystery I wrote with Margaret Sutton, has just won the 2015 Best Mystery award from the Texas Association of Authors. I'm sure winning a major prize like a Pulitzer, The National Book Award, or any of the top genre awards, translates into greater sales. I know one of the reasons I wanted to read The Goldfinch was because it won the Pulitzer for 2014, and I often read most of the mysteries that garner a top award. For the most part, I'm not disappointed. But what about other contests? How much mileage does an author get from winning a contest that doesn't have national and international acclaim? And which contests are legit? In a few months I might be able to answer the second question. 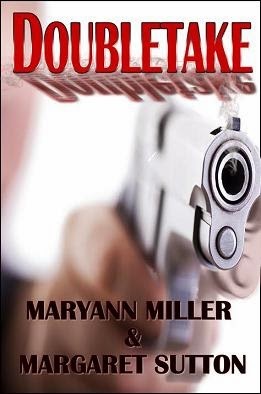 Doubletake, the mystery I wrote with Margaret Sutton, has just won the 2015 Best Mystery award from the Texas Association of Authors. A press release will go out on Feb 1 from the association, and the award ceremony will take place in April in Austin. Since I indie-published the book, I will be able to track sales and know pretty quickly if the award is going to boost sales. As far as other contests and their legitimacy, there are many that have been around for a long time and have an established reputation. 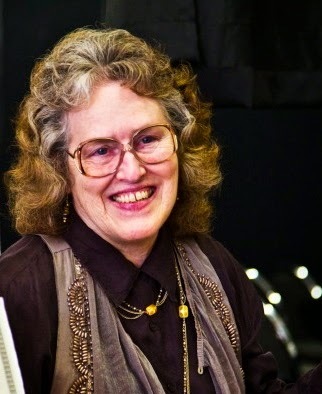 The Romance Writers of America have quite a few contests, and winning one of those has some clout. As does winning an Edger in Mystery, or the Spur Award from the Western Writers of America association. Many of the long-established contests are not open to indie authors, but there are other newer contests that are growing in size and industry acceptance. I discovered that a lot of contests have early entry deadlines, and now is a good time to search for contests you might want to enter. This past July, British novelist James Minter published a comprehensive list in an article on the Alliance of Independent Authors (ALLi) blog. Minter mentions that he does not endorse any of the contests, nor does ALLi, and encourages authors to check Writer Beware before entering to make sure the contest is not a scam. Unfortunately there are people out there who just love to scam writers. That list from Minter was too long to post here, so I hope you will hop over to check it out when you finish here. For quick reference, I found this short list from Ben Zachheim that includes fees and other details. Discovery Awards by IndieReader.com. The IRDA entry fee is $150 per title per category + $50 fee for each additional category entered. Open to submissions until March 2nd, 2015. The IPPY Awards are Open, with a deadline of March 10, 2015. Entry per category for the first book is $75. Winners get a nice flood of exposure, notably through Publisher’s Weekly publications and emails. The Guardian is now doing a monthly contest for self-published novels. UK authors only. Who in the USA has the guts to match this? The Atlantic? Reader’s Digest? New Yorker? Anyone? The Kindle Book Awards are Open and are run by The Kindle Book Review. Submissions are being accepted for the 2015 awards until May 1, 2015. In addition to the list of contests, Zacheim also has tips in his article for choosing which contest to enter, as well as other advice, such as "set a budget for contest entry fees." I'd never thought of that, but it would make it easier to decide which ones to enter, especially if your budget doesn't cover the most expensive contests. Announce it everywhere. Tout it on your Twitter/Facebook/ G+/Amazon author/Goodreads profiles. Post a press release with the award name next to your name in the H1 of your site. This way Google will make the association between you and the award. If enough people pick up the story (don’t forget to leverage friends and fans!) your chances of having your name attached to the award’s name in search results grows. Add the award to your email signature. I need to get busy. I've only told my knitting club. Bye now. "I've only told my knitting club." I can't see any relationship to sales, but being able to list awards does help with recognition amongst one's genre peers. I had my cover designer tweak a cover when Rooted in Danger won the HOLT Medallion, so it's visible on the book itself. On a semi-related note, I'm reading a book now that says "Best Selling Author. Over 5 million books sold" on the cover, and all I can think of is a fast-food joint, not "oh, this must be a great book." Writer's Digest has several contests, including a self-published book contest. I received excellent feedback on Mythikas Island. There was no way to calculate which sales came from being mentioned in their magazine. The feedback is a good marketing point and made it worth the entrance fee. I would check for obvious scams, and be skeptical if the entry amount is high, but go for it - what do you have to lose? Places like Writer's Digest and The Writer, have a long-standing reputation of excellence that makes any attention from them worth the fees to enter. I used to enter the WD contests a lot and won several honorable mentions with good comments. Sometime after I starting writing for fun and no-profit, that is became an indie author, I entered a few book contests ... until I starting noticing a cottage industry cropping up around this phenomenon. Since then, I have taken a stance against entering any contest that requires a fee ... at least I claim it to be a 'stance' ... it has nothing to do with the fact that I'm an indie author and cannot afford the fees anyway. Congratulations on winning an award from the Texas Association of Authors! I believe that anything with the word Texas in it will get you some attention and boost sales. Good luck! Thank you so much, Donna. I'm hoping to get some mileage out of the honor. Plus I am really thrilled to be going to an award dinner and other activities in Austin to celebrate. I think winning a minor or middle-of-the-road competition - or receiving a (genuine) favourable book review - must motivate all but the most experienced of writers. But, with my book buyers hat on, glowing book reviews that were obviously written by close friends of the author, are a warning sign that I seldom ignore! Martin, I agree with you about those reviews that are written by friends and family, and most discriminating readers learn how to sift through those and get to the genuine reviews that help in making a purchasing decision. Contest winnings sound impressive in a portfolio, and I believe will make readers notice you more. One of the things that I've always heard is that, these days, winning a contest only really has a strong effect if you're looking to be published traditionally or to make a move up within traditional publishing. Then, they're awesome. But readers don't specifically go out looking for award-winning books. At least that's what I've heard. But man, it sure does feel good to win something! Congratulations! Contests with established reputations may be desirable to enter -- I never have -- but some of the competitions out there do get pricey. I agree with Christopher about the cottage industry they've spawned. On the other hand, placing in some of the more prestigious ones, like Sundance, would definitely be to one's advantage, I think. Whether or not such awards impress readers, they likely would inspire recipients to strive for excellence in future works. Great post, Maryann.